Drastically reduced for quick sale. The Sellers say sell! 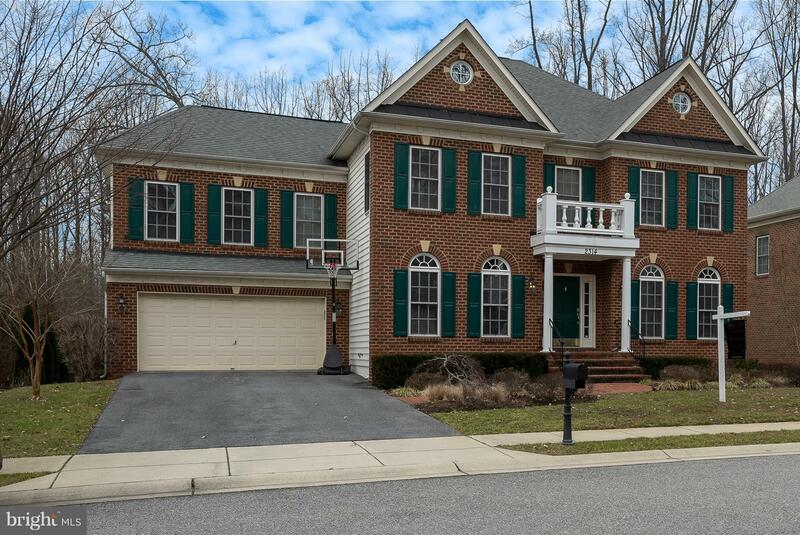 This is your opportunity to own to own a Gorgeous home in a private Annapolis enclave. Larger and more finely appointed than most. Quality upgrades throughout include tall ceilings, moldings, tray ceiling, wrought iron railings and more. Bright, open floor-plan. Come entertain in this large, open GOURMET KITCHEN with double ovens, huge center island and gas cook top. Loads of cabinetry. Hardwood floors throughout. First floor library/office. Family room and spacious sun room with 2 sided gas fireplace overlooking private, treed back yard with access to large tiered deck. The perfect setting for grilling, entertaining and private relaxation. The Master bedroom suite has an additional private balcony, huge walk in closet and a mirrored dressing area you'll love. Luxurious bath, separate shower and double vanities. The lower level offers a home theater - complete with tiered seating, a fully equipped wet bar - with cabinetry, dishwasher and granite counters- a billiard room, large storage/fitness room/possible 5th bedroom and full bath. Double-door, side entrance walk-out from basement. This home is complemented by its perfect location. Minutes to downtown Annapolis, the medical center and endless restaurants and shopping. Quick and easy access to Rts, 50 and 97 for commutes to DC, Baltimore and Fort Meade. The sellers loss is your gain. This home has it all. © 2019 Bright MLS. All rights reserved. Information Deemed Reliable, but Not Guaranteed. Listing information is from various brokers who participate in IDX and not all listings may be visible on the site. The property information being provided is for consumers personal, non-commercial use and may not be used for any purpose other than to identify prospective properties consumers may be interested in purchasing. Listing courtesy of Coldwell Banker Residential Brokerage-Annapolis. Data last updated on Wednesday, April 24th, 2019 02:31:03 AM.